"Nothing spoils a confession like repentance. " 2. 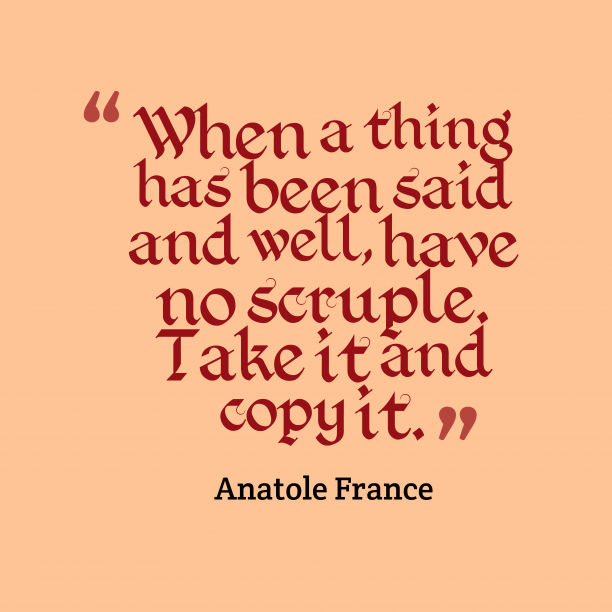 Anatole France quote about dream. 3. 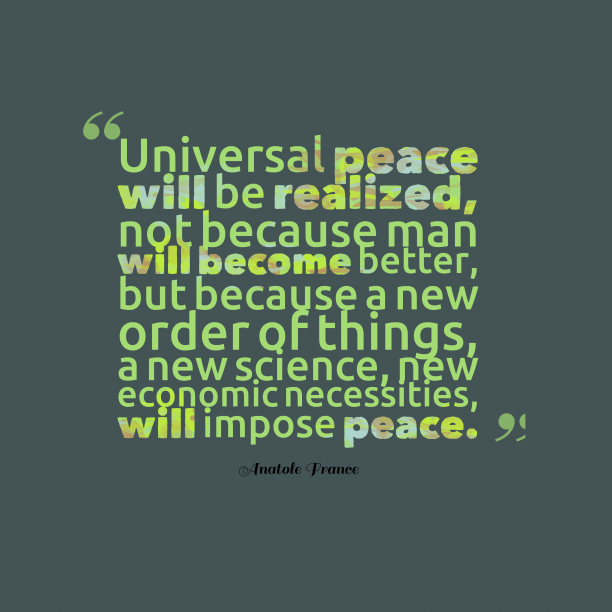 Anatole France quote about peace. "Chance is perhaps the pseudonym of God when he does not wish to sign his work. " "Never lend books - nobody ever returns them; the only books I have in my library are those which people have lent me. " "Existence would be intolerable if we were never to dream. " "The whole art of teaching is only the art of awakening the natural curiosity of young minds for the purpose of satisfying it afterwards. " "Man is so made that he can only find relaxation from one kind of labor by taking up another. " "If fifty million people say a foolish thing, it is still a foolish thing. " "All changes, even the most longed for, have their melancholy; for what we leave behind us is a part of ourselves; we must die to one life before we can enter another. " 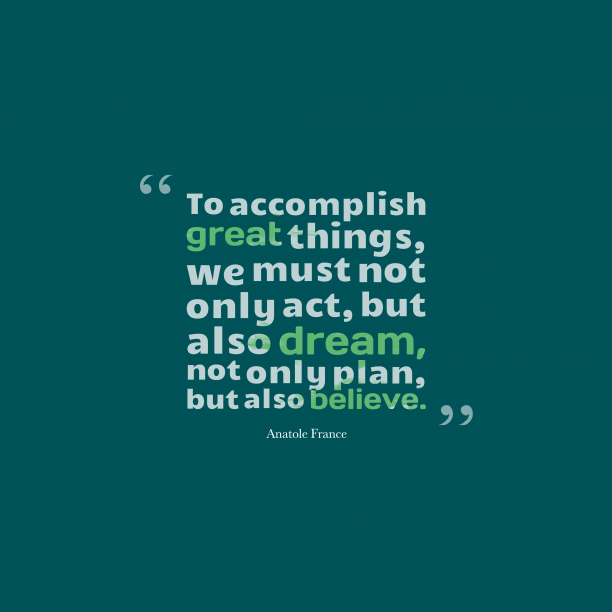 "To accomplish great things, we must dream as well as act. " "The impotence of God is infinite. " "The average man does not know what to do with his life, yet wants another one which will last forever. " "People who have no faults are terrible; there is no way to take advantage of them "
"The law, in its majestic equality, forbids the rich as well as the poor to sleep under bridges, to beg in the streets and to steal bread. " "It is human nature to think wisely and act foolishly. " "A person is never happy except at the price of some ignorance. "